Special features: Each wing case features 11 evenly spaced black spots. 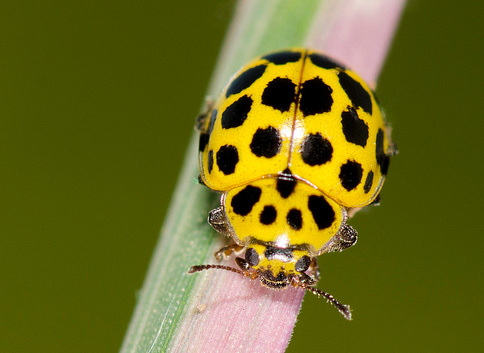 The pronotum, or section between the head and the abdomen, also features 5 black spots, so it probably should have been called the 27 spot ladybird. Usually found close to the ground among long grasses and other low growing vegetation. Habitat: Fields, meadows and gardens.